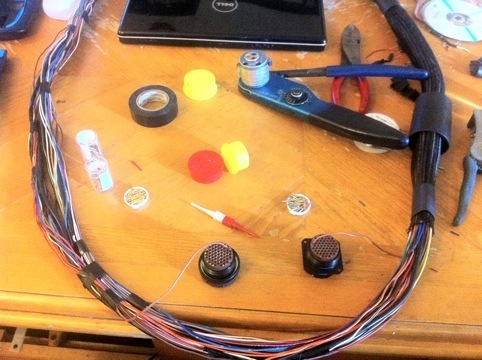 Time to wire up the engine harness! I’ll be putting it through a milspec bulkhead connector on the firewall to make it clean and easy. 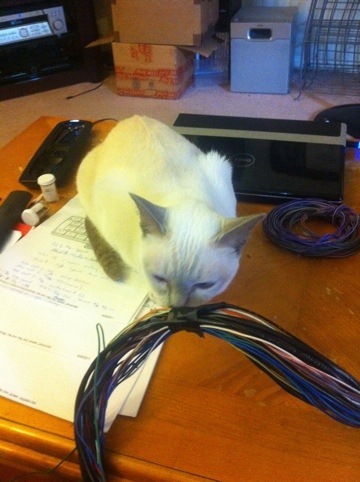 Bunny always helps me with my wiring projects and she has gotten quite good at it. ~ by B. Rogers on April 22, 2012.